So, in this wallpaper I've used a little word game, infact Ai (Adobe Illustratior) in Japaneese mean Love, the power of Sailor Venus. and added some details of least manga sailor dress. 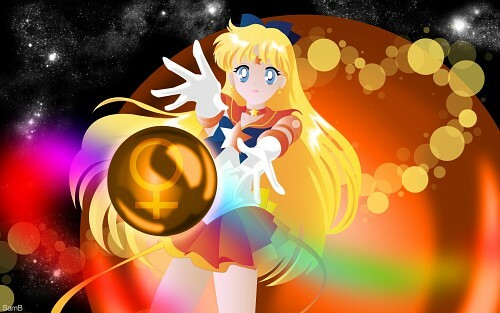 I've added a rainbow because, as the original manga, it is created from a light effect, the Sailor Venus power, and it is round the sphere threw by Minako. The light circle, in this time have an heart shape. Gracias por la imagen esta muy bien. Awesome! The contrast of colors is great in this one! Thanks for sharing!